Mr. Albert Raymond Thompson, age 89, passed away Saturday, February 24, 2018. He was born in Coral, Michigan on July 9, 1928 to Otto & Florence (Hubbard) Thompson and married the former Adeline Grelewicz on June 19, 1948. Mr. Thompson had been employed as a Electrician for E.H. Sheldon and Teledyne Continental Motors for years until retiring in 1992 after which he started his own business called Pine Hollow Crafts. Albert was a former member of St. Michael's Catholic Church. He was a member of the Sons of Norway and was a Boy Scout Master of Troop 51. 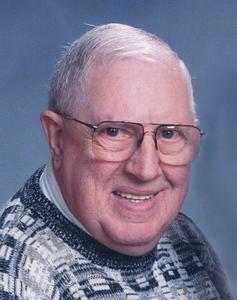 Albert loved woodworking and fishing and was a regular at Overboard Inn in Twin Lake. He will be greatly missed. Wife of 69 years, Adeline; son, Dale (Debra) Thompson; grandchildren, Andrew (Jaime Calder) Thompson, Kevin Thompson; great grandchildren, Wilhelmina Thompson & Elsinore Thompson; many nieces & nephews. He was preceded in death by his daughter, Pamela Rae Thompson; brothers, Donald & Leonard; sisters, Katherine, Ruth & Betty Lou.